If you know onebestway, you know Samantha. 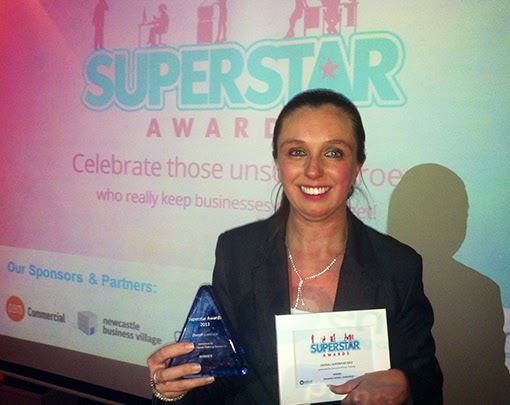 And now you also know that a teary Samantha was crowned Overall Winner at the 2013-2014 Superstar Awards at As You Like it, Jesmond, on November 20th - beating all comers. This award recognises those that go above-and-beyond their core job role, plus delivering excellence over a prolonged period. Sam’s award is on her desk in onebestway’s reception. Take a peep when you're in next.